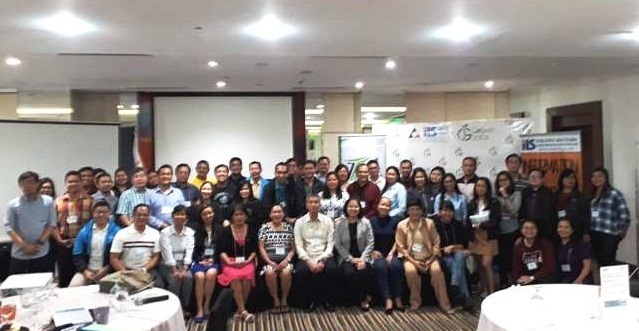 A series of multipartite consultations on the formulation of the National Green Jobs Human Resource Development (HRD) Plan was organized from August to September by the Department of Labor and Employment (DOLE), with support from the International Labour Organization (ILO). Among those invited to participate was the Small Enterprises Research and Development Foundation (SERDEF). SERDEF Trustees Ms. Serenidad Lavador, Prof. Jose P. Tabbada and Ms. Arlene Liberal together with SERDEF Research and Information Officer, Ms. Leda Beltran participated in the consultation on the manufacturing sector held at Hotel Jen in Manila on September 19-20, 2018. Speakers during the manufacturing sector consultation were Ms. Gwyneth Anne Palmos, National Project Coordinator – Just Transition to a Green Economy (Green Jobs), ILO; Mr. Patrick Patriwaran, Jr., Acting Deputy Executive Director, ILS, DOLE; and Ms. Ayesha Sarapuddin, Planning Officer, Climate Change Commission (CCC). 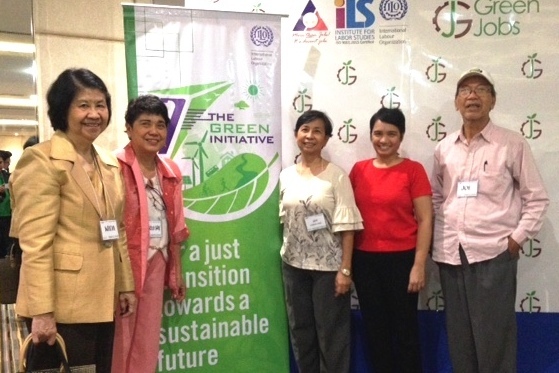 Discussions were moderated by Ms. Eva Marie Famador, Consultant, Green Jobs HRD Plan. In her presentation, Ms. Palmos discussed the Key Concepts of Green jobs and Just Transition; the ILO World Employment and Social Outlook 2018; Transitioning Manufacturing Sectors; and Just Transition Initiative in the Philippines. Meanwhile, Mr. Patriwaran, who represented ILS Acting Executive Director Ahmma Charisma Lobrin-Satumba, gave an Overview of the Green Jobs Law and the National Green Jobs HRD Plan Process. Ms. Sarapuddin shared updates on the Development of Assessment and Certification System and Guidelines for the Manufacturing Sector. Participants also joined workshops on Scanning the Green Environment, Vision of a Green Economy, Green Jobs and Green Skills, and World Cafe during the two-day consultation.